The problem is not Macri, it’s not Cristina. 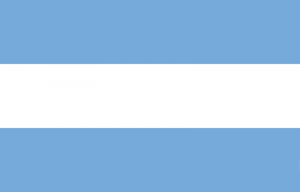 The problem of Argentina is that ___. The problem is not Macri, it’s not Cristina. The problem of Argentina is that “is full of argentinians”. He said that this phrase was said several times, and from people that doesn’t live inside a bubble. It’s quite sad – we usually take advantage (sometimes this is *good*, but the problem is when we bypass rules and/or authority). Just stand in a street intersection, just 2 minutes. When the semaphore goes from green to yellow, it means: “Hurry up”, and for motorcycles, semaphore’s red color is simply optional. People walking, cross the street on every place. I’ve seen and did it several times. It’s not a particular case, it’s something GENERAL/GLOBAL. All really sad. I’m a participant, not just pointing with my finger. A direct and indiret participant. Direct: when I cross wherever I want. Crossing the exclusive-for-bus path on the middle of the street. Maybe I’ll learn and reflect this when I got hit by a motorcycle (which uses the exclusive-for-bus path as a highway). Indirect: when I see someone else doing the same, I start losing the chance to get surprised, and get angry. We allow this. Second problem: “we fix it with a wire”. I think I’ve read this from Marcos Aguinis. But this phrase is a classic. This is something good by itself. It can be a reason for admiration, inside and outside the country. To find an alternative and valid solution, without the expected resources. Where is the problem? When we think that the wire works for everything. And in our toolbox, we have ONLY wires. Too bad!